The entrance hallway makes a lasting impression upon entering a house and sets the tone for the rest of the decor, so within a luxury, high end development it’s crucial that the impact is just right. Decorative flooring can be used to create a stunning focal point that sets off the rest of the space, to bring the perfect sense of style to the house. 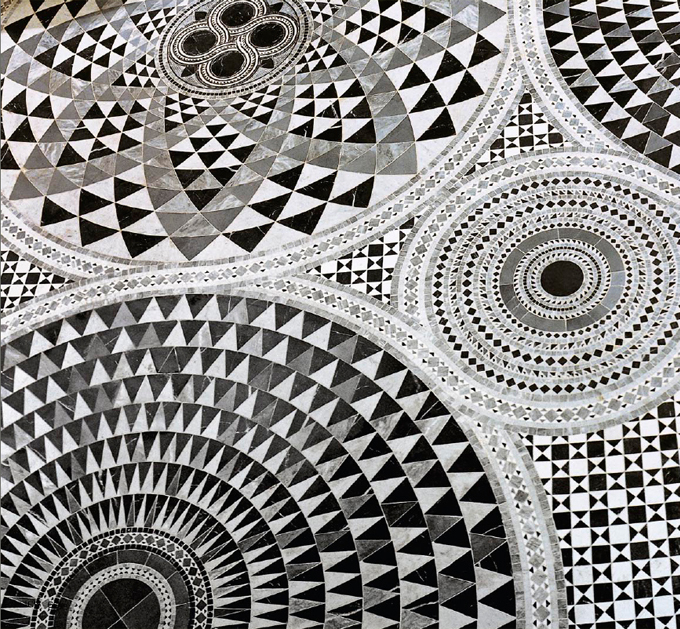 Marble inlay mosaics have been used for centuries and look and feel affluent and luxurious . The featured collection offers a range of aesthetics using beautiful marble mosaic pieces that can help to set a variety of different tones. Inspiration for this collection comes from the artisan knowledge of the Cosmati family, passed down for four generations, through the 12th and 13th centuries. 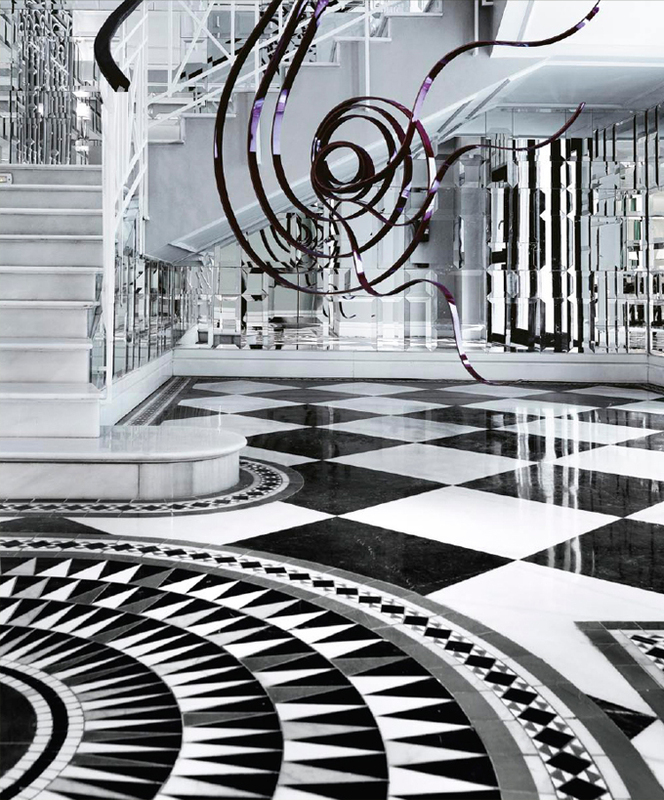 This stunning mosaic collection combines tradition, technology and innovation to create striking aesthetics with marble. To bring together a luxury, high end home, Concept use their in house design expertise, to create a portfolio of original and unique ideas to make the best use of the space. Utilising the very best materials and finishes to suit the project . 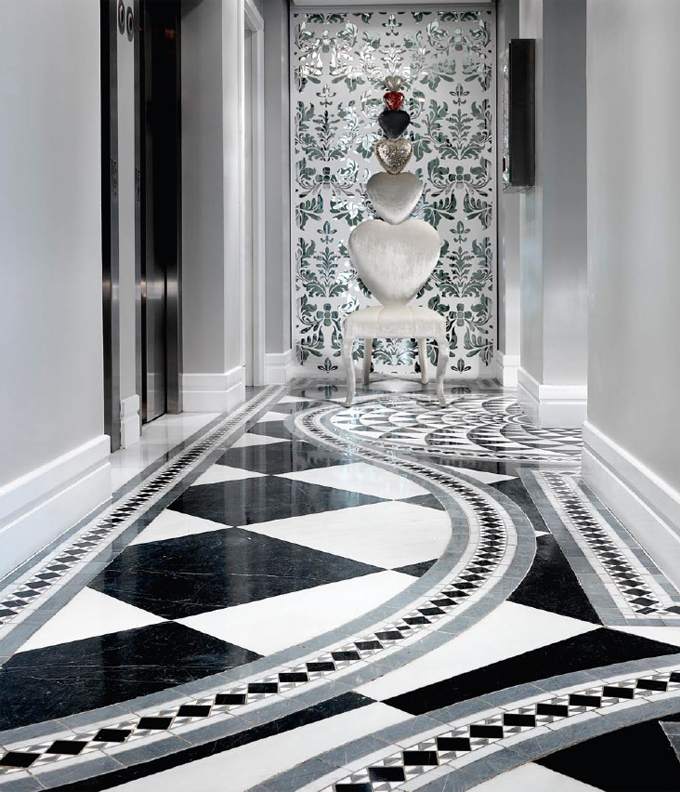 This entry was posted in Luxury Developments and tagged bathroom marble designers, black and white marble floors, Décor Floors, Entrance Hall Marble, Feature Entrance Hall Marble, High End Hall Way Marble Floors, luxury bathrooms, marble floor designers, marble floor designers ascot, marble floor designers Beaconsfield, marble floor designers Oxshott, marble floor designers Virginia water, marble floor designers Weybridge, marble hallways. Bookmark the permalink.